I spent a fascinating two hours in the home of Flower Drum founder Gilbert Lau the other day. 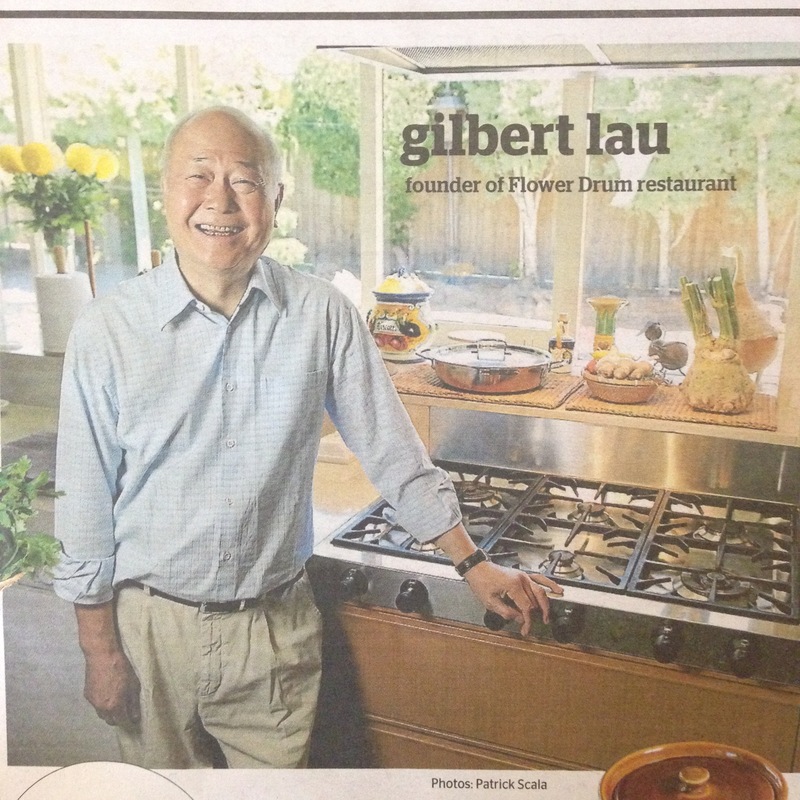 You can read the full Kitchen Spy in today’s Epicure or online here but one of the highlights was finding out Gilbert’s recipe for fried rice. It’s a dish I cook at home ALL the time now, with whatever bits and pieces we have lying around. I’m thinking of adding XO to the recipe because I love chilli (and bacon). He founded Flower Drum, one of the best Chinese restaurants in the world, in 1975 and, although technically retired since 2002, he’s been more than a familiar face at his sons’ restaurant, Lau’s Family Kitchen, since it opened in 2006. He’s Gilbert Lau, 72, Melbourne restaurant royalty and, since Australia Day just past, a Member of the Order of Australia. When Lau’s not lending an experienced hand at Jason and Michael Lau’s restaurant he cooks simple meals at home for his wife Alice and himself in a kitchen that was renovated a decade ago. Steam rice using slightly less water than normal to allow grains to separate better. Allow to cool. Chop ingredients: Chinese sausage, ginger (chopped as big as rice grains although this ingredient is optional), swiss brown mushrooms, spring onions. Heat wok, add oil, break two eggs in and stir quickly on a high heat. Then add sausages, mushrooms, rice spring onions and a pinch of salt, light soy and stir quickly. Then slow heat down and if necessary add some extra oil to separate the rice and some more light soy for colour. The key is get all the ingredients ready first.